Simeon was brought up near White Waltham and educated at The Piggott School in Wargrave, Berkshire. On leaving School he studied and obtained an OND in Hotel and Catering operations moving on to work in a number of Hotels in England. He is dedicated to flying instruction with over 2000 hours instructing logged and has gained a wealth of experience in teaching people to fly, whatever their ability or aptitude to the task. He flies throughout the week, only taking the occasional day off and therefore is able to provide all his students with his undivided attention if they wish to condense their training. 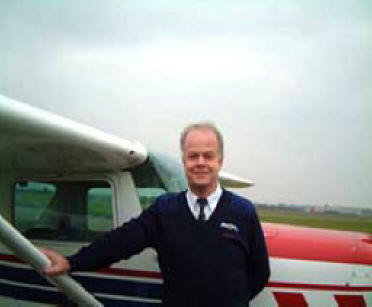 Simeon commenced flying in 1994 and then sold his last Hotel near Birmingham Airport after 25 years in the industry in order to enter the flying fraternity. He qualified as an Instructor and joined the Staff in June 2000. He resides in Redditch with lifelong partner Pauline and their two cats.